The Jefferson County Development Authority (JCDA) seeks a full-time Program Manager to develop and implement economic development and marketing programs that promote Jefferson County to a national audience of expanding and relocating companies, site selection consultants, and corporate decision makers. Responsibilities include overseeing comprehensive multi-media marketing and public relations strategies, maintaining the JCDA website, creating marketing materials, and writing and distributing news releases. The employee will be responsible for researching and updating demographic data relevant to economic development. 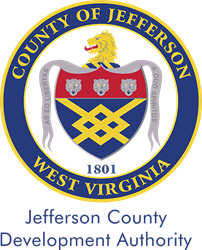 The Program Manager at the Jefferson County Development Authority will also assist the Executive Director with all other aspects of the JCDA, such as business retention. Applicants shall have a minimum of a Bachelor’s degree in marketing, journalism or a similar field and three to five years of applicable work experience; or an equivalent combination of education, training and experience. The position requires excellent verbal and written communication skills and a thorough understanding of electronic marketing strategies and website maintenance. Applicants must be proficient in Microsoft Office, the Adobe Creative Suite and website content management systems, and have a thorough understanding of SEO. Experience with ExpressionEngine and web-based marketing tools such as Constant Contact and PRWeb is preferred. Some overnight travel may be required on behalf of the Jefferson County Development Authority. Salary range is $40,000 to $42,000 per year, depending on experience. Employee benefits include WV Public Employees Retirement System, paid health insurance and sick leave, and at least 12 paid holidays per year. A detailed job description is available on the Jefferson County Development Authority's website. Please contact Jane Jones at (304) 728-3255 or janejones(at)jcda(dot)net with questions.